At AH Peck we are proud to be a local, trusted supplier. Having worked with the South West London community for three generations, we are proud of our position and genuinely care about its future. This is where we work and live – and we want our area to be prosperous, successful and full of opportunity, so we always make an effort to find ways to contribute to the cause wherever possible. Situated in the heart of Barnes, Castelnau Community Centre has played an important part in this community for as long as we can remember. Organising a range of different activities and clubs for youth, it helps parents who may have to work full-time and not have the time to take care of their children as well as offering them enriching and diverse experiences that may not be on the school curriculum. From their experimental theatre group to their ballet classes for toddlers, this organisation is the heart of our community. When we were approached by them to help out, we were only too happy to oblige. We resurfaced the entirety of their main hall and cafe area in syroniva fortico as well as creating a unique badminton court in yankers lime pain, a first for the team at AH Peck. 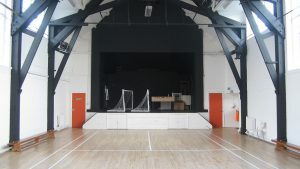 Badminton Court at the Community centre. We have been working with Barnes Community Association for years, an organisation unique to South London. Established over forty years ago, it aims to maintain our communal spirit. Organising events that appeal to the whole family and help keep our small town feel alive last year saw them arrange a Charity Fashion Show, a Family Festival of Football, a Film Festival as well as a Jumble Sale. We genuinely feel that our lives in Barnes would be a little less without this organisation and so have helped them along the way by providing labour and materials. We recently completed their entrance hall just in time for Christmas as well as the main area at the back of the building and one of their offices. Finally, AH Peck are also the proud sponsors of the South West division of the Camra Cricket Team. This formidable team, of which Corey is also a member, were twice winners of the Putney Cricket Cup, before it was cruelly taken from then in 2016 in a tragic defeat unprecedented in not only cricketing, but sporting history. A historic team, they have been going for close to twenty years with their home pitch being situation on the Nursery Road ground, behind the Prince of Wales in Morden Road. 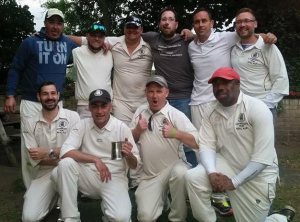 Take a look below at this handsome group of lads kitted out in their finest AH Peck uniforms and if you are so inclined to come out and support South West London’s finest Cricket team our next match will be this Sunday the 4th June 2017. At AH Peck, we constantly make sure that we are up to date on all of the latest trends and innovations. Not only that, but we also work with a number of interior designers who never cease to amaze us with their weird and wonderful ideas. So for this blog, the team got together and had a think about what 2017 holds for flooring, and what we imagine will be seen up and down the country this year. 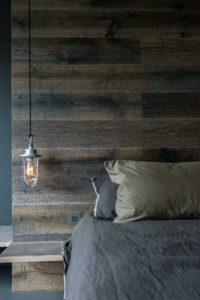 Because flooring is about so much more than tiles, wood and carpet – flooring can be a thing of beauty, an area of inspiration. Whilst we don’t definitively know what floor Ernest Hemmingway wrote on, or for that matter, the wonder that is JK Rowling. We suspect Hemmingway penned “A Farewell to Arms” on an earthy, deep, rich wood whilst we think Rowling probably favoured a more refined, antique panelling. Whilst we cannot attest to whether our suggestions are factual, we do genuinely believe that flooring can have a profound impact on a space and a home. So, as we move into 2017 and work out exactly what this means we hope this fabulous flooring trends will help offer some peace, beauty and tranquillity in these potentially, trying, times. Towards the end of 2016, we were seeing far more demand for parquetry using oversized panels, such as herringbone, chevron, as well as Versailles. That being said, the most popular was undoubtedly Mansion Weave, and in the last few months of 2016 we laid around 1,000 square metres of that alone. This stunning style of flooring allows for an elegant finish, as well as helping to make a space look that little bit bigger, so at AH Peck we expect to see it continue to dominate well into 2017. 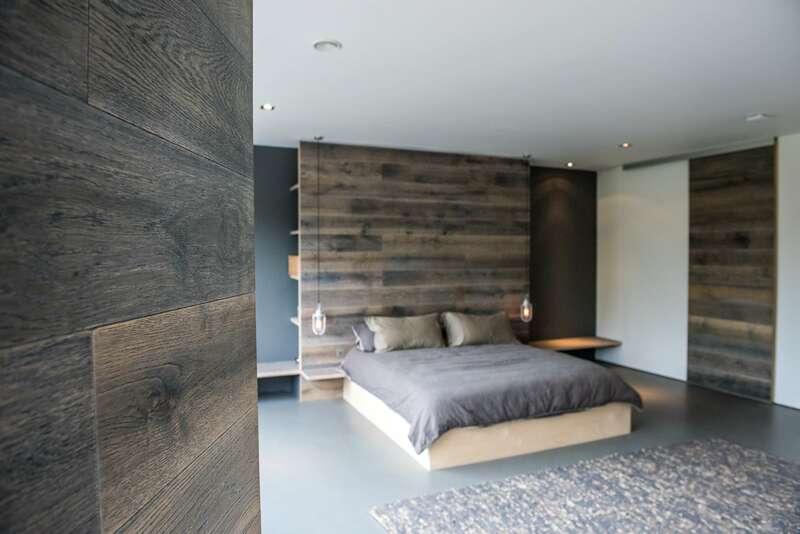 We are also seeing a lot of demand for bespoke wood work, such as headboards, bathroom features, and even doors. Unique and innovative, this offers a truly original way of standing out, as well as providing a seamless interior that looks modern, sleek, and elegant. 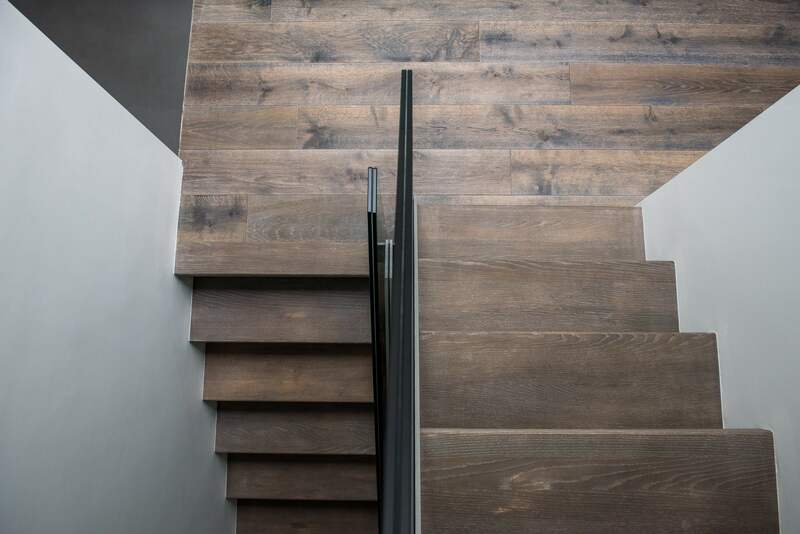 The incorporation of materials in unusual places is not limited to wood, as we are also seeing the rise of transitional flooring, which finds materials such as brass, ceramics, and steel integrated into the floors and flowing into wood. Acting as a feature piece on the floor, they allow for a neutral space to be invigorated with unique patterns that can offer a truly contemporary design solution. Finally, at AH Peck we are a little bit proud of our latest innovation that, we hope, will come to set the trend towards the end of 2017. We are not quite ready to go live with our specialist finishing product, however we are in talks with suppliers and analysing manufacturing processes so we can create a truly bespoke finishing product that allows each floor to be finished according to its unique requirements. The first of its kind on the market, it will act as a radical alternative to off the shelf options that limit designers and decorates to a premade range. Having just returned from Domotex in Hannover, a trade show that saw flooring experts gather together from all over the world, there was no topic more discussed than Brexit. Beyond the immediate effect of a plummeting sterling rate impacting our suppliers, with ITEC IVC losing over £1 million only days after the result was announced due to the 8% drop of the pound almost overnight – what are the longer-term ramifications? What would it mean for us? How would it affect our customers? Immediately after Brexit we saw a lot of nervousness and reticence in the industry, with big projects being put on hold as companies re-evaluated strategic decisions taken pre-Brexit. However, the majority of these seem to be back on track – until Article 50 is actually revoked it would seem to be business as usual. However, that is not to say Brexit won’t have an impact on the British flooring industry. Most of the raw materials used in the UK flooring industry are purchased from abroad. In fact, the UK is one of the main markets for the European carpet industry – and if importing does become a luxury this could have a significant affect upon the range of styles and lines available. There is little doubt that more money will need to be reinvested in the manufacturing arm of the country – which is being seen across a number of industries who have relied on importing for years. That being said, even if the UK did manage to increase its production rate to match the quantity and quality of that on the continent, we simply cannot compete on price. This could well prove to be the most substantial factor in the UK flooring market in years to come. Similarly, the UK flooring industry also takes advantages of the incredibly hardworking and motivated staff, many of whom come from European countries to do jobs that UK born residents are not interested in. This could well create a dearth of labour – as demand for EU labourers will soon reach all-time highs. The UK educational sector will need to look at convincing far more school leavers to join apprenticeship programmes aimed at training in manual works. We, at AH Peck, are already looking at developing this sort of programme and training new staff from the ground up and think as time goes by, this attitude will be mirrored by companies up and down the country. Currently, most of the health and safety regulations in the UK flooring industry are dictated by the EU so it will be interesting to see the impact of this and whether British manufactures and labourers will continue to follow EU standards – or if the government will introduce their own legislation. Of course, when it comes to Brexit the truth is that we are dealing in hypotheticals. The one thing every economist can agree on is that Brexit represents uncertainty. And as politicians, economists and even humble flooring companies look to fill that void with guess work and estimations it doesn’t detract from the simple truth that we simply don’t know what is going to happen. So we at AH Peck choose to remain positive, we have been going on for three generations and plan to continue our legacy for a long time to come. We have been regulars at this event for years and have used it to widen our network as well as learn about the latest innovations in flooring. Not only was it an opportunity for us to revel and wonder in some of the most stunning flooring solutions from around the world, but it also allowed us to consider the future of flooring at Innovations@DOMOTEX – a dedicated space for the latest visionaries to showcase their fantastic advances in flooring technology. Thanks to this tailor-made area we were able to discuss the most pressing challenges and concerns with flooring experts from around the world. This included topics ranging from “how can home living be made more human?” to “what flooring solutions does tomorrow’s world need?” Featuring a keynote speech from renowned and inspiring designer, Alfredo Haberli, it was a truly fantastic opportunity for us to consider the future of our industry. And this year didn’t disappoint, with some spectacular new technologies that could have a really exciting impact upon the future of flooring. This included the introduction of LED drying technology which we should start to see overtake traditional UV technology over the next few years. LED is a far cheaper and more sustainable method of drying, and unlike UV doesn’t produce ozone. Whilst, the raw material for LED is slightly more expensive, we at AH Peck still welcome this new option as it should help to enrich the flooring industry with a far more eco-friendly process. 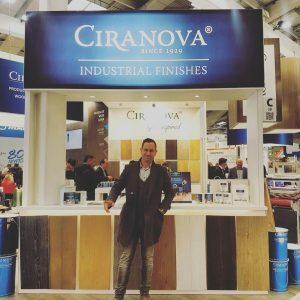 Corey, Managing Director at the Ciranova stand at Domotex 2017. 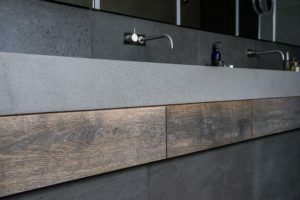 We were also excited by the new technologies in wood finishes, particularly as at AH Peck we are in the early stages of looking into creating our own, bespoke finishing line. This would allow for each client to have bespoke colours created that match their exact requirements. As perfectionists, we often find the current industry range limiting and have craved a more refined product for some time. We are extremely excited about this possible venture with Ciranova and believe it will allow us to further enhance our customer care process. At Domotex we always make sure to network with our peers; we believe we can truly learn from their methods and processes. And this year, we were delighted to meet with David from Grand Parquet, our Northern counterpart based in Liverpool. Rather excitingly, David and Corey discussed the possibility of setting up a specialised apprenticeship scheme for young people; a way to help young people access the flooring industry and continue Corey’s commitment of investing in his staff. We have already booked our ticket for 2018 and are looking forward to learning even more from this talented group of designers and flooring experts. Next year’s theme will be “Unique Youniverse”, which will focus on self-expression, self-reliance and self-determination and how we can include our customers in every step of the flooring process. We think we do a pretty good job of this at AH Peck, always making sure our customers are updated in every step of the process. However, we are always keen to learn more and can’t wait to see what awaits us until then. At AH Peck we are proud of our heritage. Founded over fifty years ago, our business has grown largely on trusted relationships gained from satisfied clients. Having done very little marketing, our reputation demonstrates our commitment to our customers and the pride we take in our work. Run consecutively by three generations of the Osman family – over five decades – and with a continuous close support network, we have been able to constantly develop and refine our approach to meet our evolving audience needs’. We invest considerable time, money and energy into enhancing and enriching our service – ensuring that each one of our customers benefits from the latest innovations. 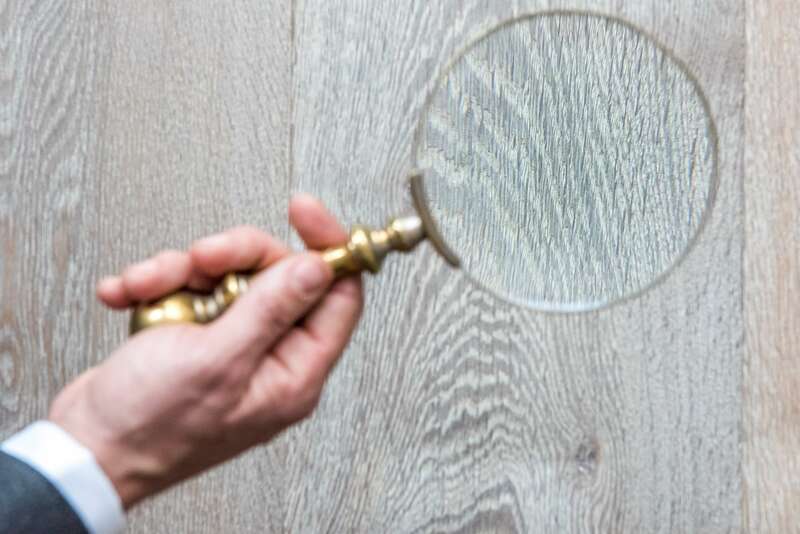 This allows us to offer an unparalleled service that has seen us receive commissions from those seeking the finest floors, with materials sourced from across the globe. At AH Peck our handpicked, dedicated staff and unique style is complemented by the machinery of our supplier of choice: Lägler, a German company that has itself dedicated fifty years to developing the latest technology alongside our own operation. Our service partner offers the very best in bespoke wood floor finishing. Since 1956 they have been revolutionising floor sanding. Starting with a single talented inventor (Eugene Lägler) and one machine (the ELF), they now have a factory where all their machinery, from start to finish, is built by a team of highly skilled and specially trained staff. Their continual advancements and exceptional level of quality has allowed us to ensure we provide only the very best to our clients. They created the first floor sanding machine to be awarded the “GS wood dust test” approval mark by the German Woodworkers trade (a significant accolade in our industry) and in 2005 their creation was the first in the world to be almost dust free. Since the creation of the ELF, Lägler have continued to develop machines with an increasing capacity to navigate the traditionally difficult stairs and corners that can be so easily missed – it’s this attention to detail that our customers, and our team, are so fond of. At AH Peck we use Lägler machinery for their ingenuity and unique offering. We are proud to have 3 of their Hummels, which – whilst originally designed in 1969 – have been continually updated to feature state of the art design. Unparalleled in quality it has a powerful sanding drum with a three-stage drum pressure regulation and belt tensioning device that offers a phenomenal finish. It boasts dust levels below 1 mg/m³ and was even awarded the “wood dust test” approval mark in 2012. Most recently Corey was lucky enough to win a Lägler CF Trio, 1 of only 10 made in the world. On a trip to Germany for the annual Domotex flooring show, an opportunity for us to enrich our service, Corey placed a charity bid on the CF Trio. The charity is a fantastic initiative that helps support training of youth in the flooring industry. We were over the moon to hear we had won, and travel to Southampton to collect our brand new CF Trio. In honour of their 70th anniversary, this sander is a state of the art addition to our own portfolio of machines. With outstanding dust control, and the very latest modern advancements it demonstrates our continued commitment to innovation.